Let us hope Jaime Sanchez is still alive. The internet biographies only quote his birthday so good health to him. Jaime, who played Angel in ‘The Wild Bunch’, is presumably still riding trails somewhere around the border. The world will be a colder place when the last of the Wild Bunch disappears. Ernest Borgnine lived for 95 years before he died a couple of weeks ago. He played Dutch, the philosopher in the gang. Dutch has superior moral understanding so it is essential for the movie that he accompanies Angel to hand over the rifles to General Mapache. Angel is surrendered to the Mexican soldiers. The final quiet comprehending stare by Borgnine insists that the subsequent fight to certain death by the Wild Bunch is not just plausible but inevitable. Dutch Engstrom: In the ravine south of here, you’ll find the rest of the rifles in the wagon. You can have the wagon, we’ll take the horses. Major Zamorra: How many cases of rifles did you take from the train? Dutch Engstrom: Sixteen cases of rifles. We lost one on the trail. General Mapache: He stole it. The mother of the girl he killed told me so. Dutch Engstrom: Well, I’m wasting time here, adios. Dutch Engstrom: He’s a thief; you take care of him. Later, the Wild Bunch returns to the Mapache camp. Mapache has no quarrel with the rest of the Bunch and the gang kill an afternoon with whores. Dutch is the exception. He chisels a piece of wood and waits. When the gang steps out into the sunshine, Dutch grins at Bishop with pleasure. He realises they will sacrifice their lives in a futile attempt to rescue Angel. He throws the wood on the ground and reclaims his manhood. Before he died, Borgnine became controversial when he said he had no desire to watch ‘Brokeback Mountain’. The actor defended himself and said he had nothing against gays he just did not want to watch a film about gay cowboys. ‘To each his own,’ said Borgnine. There is an irony here because in the film, ‘The Wild Bunch’, Dutch loves Pike. It may not be sexual love, although we will never know, but Dutch adores his leader. The relationship is balanced because although Bishop is the obvious leader in the group he does need Dutch as a counsellor, somebody who provides an alternative and sometimes superior opinion. Dutch is different to the Gorch brothers who, although amusing and quirky and ultimately brave, are little more than crude bluster. Dutch is a thinker but he is dependent on the less intelligent man who needs his advice. use. Men who are the willing torturers in any corrupt system. All they need are orders. These men do not want power just a placethat gives them an identity. It is in the enthusiastic grinning conformism of Trimble where the culpability of the men and the town meet. The serious will say that his performance in ‘From Here To Eternity’ is more important but ‘Bad Day At Black Rock’ can be watched repeatedly. A couple of times in ‘Eternity’ is enough for me. ‘Johnny Guitar’ is not about great roles or at least not about great male characters. 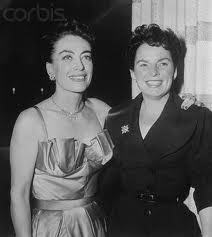 The movie is dominated by the two female leads, Joan Crawford and Mercedes McCambridge. Crawford does ride away with Johnny Guitar in the end and she may even love him but if they are happy it will only be because Johnny will learn when to say nothing, listen and tune his guitar. So there is little scope for Ernest but even in ‘Johnny Guitar’ he leaves his mark. He is a loser just like in ‘Bad Day At Black Rock’ but this time he is not the enthusiast acolyte. He is a disgruntled and awkward failure ready to lash out at a world where he will never be equal to the likes of the handsome Dancing Kid. Without wearing rags, Borgnine looks permanently scruffy, a man heading for isolation. The Western is a strange phenomenon. Not only is it the richest movie genre with the longest list of recognisable icons but it sits in a unique place in the American class system. It is where they put Elvis when they wanted him to have credibility. Europe has an aristocracy but the Western conveniently hides the worst effects of American hierarchy which, of course, may be why it was so popular for so long and why it suddenly lost its popularity. Not because class systems disappeared, we just swallowed the propaganda that told us they had. 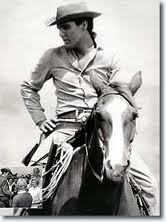 Elvis appeared in the great Western, ’Flaming Star’. If we ignore the production line musicals, it is no coincidence that his best acting performance was in a genre where class was not important and his worst was in the movie scripted by the talented Clifford Odets, a screenwriter who was definitely class conscious. Like Elvis, Borgnine had an ordinary background and became famous. Elvis became neurotic and destroyed himself. Borgnine stayed level headed and was charmingly self-effacing and philosophical. Borgnine claimed no credit. He said it was because he had roots but this sounds glib. In war and military movies, he played soldiers of all ranks – privates and generals. Maybe he was born to fit in, whatever the circumstances. Both men, though, finished their lives unfashionable. 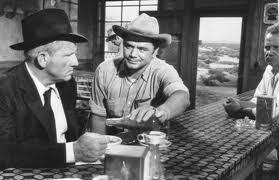 Elvis was not hip to those that followed in the seventies and Borgnine was confused by gay Western movies. They were, though, exceptional characters. Neither really had to say much to convince us. Elvis had his sneer that was somehow self-effacing and all conquering and Borgnine grinned at just the right moments in ‘The Wild Bunch’, when Bishop emerges into the sunshine and in that never to be forgotten second before the final slaughter. Such men deserve respect. I do not appreciate the finer points of The Wild Bunch, but can view Bad Day At Black Rock time and again. Ernest Borgnine appears in both and could seem somewhat typecast. On the news of his death, I watched a clip of his appearance at a gala dinner about 2 years ago. He was very self affacing and recognised that he had been very fortunate to have been an actor, when many had to survive in more mundane and tedious jobs. After this I viewed Ernest in a slightly different way. Thanks, Howard for another thought provoking piece which I have enjoyed.